Ajmal Foundation is a Public Charitable Trust, registered under Charitable Trust Act, 1882, established in the year 2005, head office located in the district of Hojai, Assam in INDIA. It is a non-political, non-profitable and non commercial organization. The organization has been working in the fields of Modern Education, Skill Development and Employment Generation, Women Empowerment, Poverty Alleviation, Relief and Rehabilitation and Environment and Health. 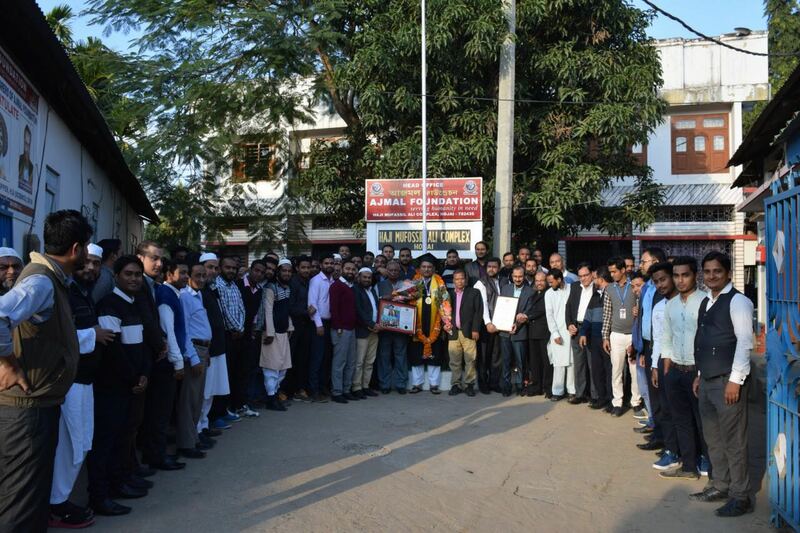 The organization has been running as many as 25 educational institutions all over the State of Assam with 100 percent successful results and implementing various schemes and projects in different locations of the country for development of the weaker sections of the society. With the spirit of serving humanity in need, the Trustees of the organization have undertaken multifarious schemes and projects to serve the downtrodden sections of the society and thus the volume of activities has enlarged manifolds. In order to reach out to the poorest of the poor and the neediest section of the society in the remote and rural background of the country, the organization in collaboration with like-minded social organizations is implementing various schemes and projects within the organizational frame work. In doing so, time bound implementation and efficient delivery of the assigned project / tasks maintaining full proof transparency has always been remained as top priority of the Trust. In the Education field, we have 25 Colleges including One B Ed College (Nazir Ajmal Memorial College of Education), one Law College (Ajmal Law College), Maryam Ajmal Women’s College of Science and Technology (Degree) and Maryam Ajmal Women’s College of Science and Technology (H.S.) at Hojai. You will be delighted to know that one of our students of Ajmal College of Arts, Commerce and Science, Amar Singh Thapa, has topped in Science Stream of Class XII of Gauhati University. Also, two students of our Nazir Ajmal Memorial College of Education have secured 1st and 2nd positions in the year 2017 and this year also this College has god 5 positions in B. Ed Final Examination (i.e. 1st, 2nd, 4th, 13th and 23rd positions). We are also running a dedicated Coaching Centre with brilliant academicians in our Campus Area for our Brilliant but poor Students, namely “Ajmal Super-40” for providing them, free of cost, required tuition and guidance for preparing themselves for cracking the entrance examinations of the vocational and professional courses such as Medical, Engineering and Law etc.